One of the things we all love about this industry is that times change and it means wonderful job security. 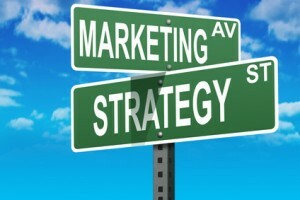 All of the changes lately are about moving more toward online marketing (State of Digital!). SEOMoz is now Moz, Search Engine Land has Marketing Land, and Lee Odden just blogged the same idea. Companies should be following suit to ensure that the right decisions are being made for your brand and online successes. Recently, I was approached about a position as the Director of SEO — and my first reaction wasn’t what it used to be. A few years ago, nothing about the position would have phased me (I love Distilled and still not going anywhere), but this time I sat back and thought “well, that job title is going to change soon.” A director level position should not just be focused on SEO any longer. A Director or C-Level position should be more online marketing focused with SEO as just a small part of that. You can actually already see it in the market. Check out the Director of SEO job ads on Indeed. As of the writing of this post, I see Director of Content, Director of Online Marketing (Walmart), and Digital Marketing Director. There are many companies that see how our roles are changing, but some have yet to catch up. You might be in that position and asking who you should hire if SEO isn’t what you need. In the next few years, there will be a large influx of people wanting SEO jobs, but you will want someone that can do more. They will be able to assist with a site migration, fill in for your social media team, work with customer support, and be a helper at your next (offline) company event. Online marketing success in the future relies heavily on branding, customer communication, product development, company culture and so many other things that don’t exist solely on your website. These things can’t be checked off a list, keyword researched or added to a meta tag. You will need someone who can participate in and lead meetings between vendors (online and offline), lead multi-functional teams, and think outside of the box. This person will need a thorough understanding of search and usability, but few if any companies will need someone that only works on SEO. If that position is needed, let’s say for a number of company sites, it should be more of a junior role. SEO is still very important, but it’s a portion of the whole marketing success pie. You need someone that is going to make SEO a part of the process, not a separate process. Therefore, I would say take a page from the companies already headed in that direction. Look for someone that knows SEO, but also PPC, digital ad buys, social media, PR, content development, usability, conversion, analytics, reporting, video, and more. Check out this job description [PDF] from 1-800-Flowers for some inspiration. After saying all of that, let me make one thing clear: a title is just a title – it means nothing in the end, but it can be an indicator of the mindset of the company you might be applying with. A company that gets business and marketing will be looking for a well rounded online marketer. If you are looking for the best job and your passion is in online marketing, you should be preparing yourself for the shift in roles. Knowing search is imperative, it really isn’t going anywhere, but it’s not going to be as big of a driver as it was 7 years ago. Google Now, Facebook, Instagram and everything that has yet to launch are changing the landscape. If you want to be able to grow a business using online traffic, you are going to have to get to know all of these mediums. Early in your career, even if it’s focused on SEO, spend time with the social people, with the graphic designers, and the UX people. Don’t have those people at your company? Go to a Meetup. There will be people there that want to learn more about search and you can exchange ideas. 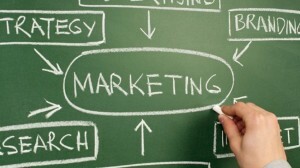 You are going to need experience with all facets of marketing. My guess is that you are slammed with work during the day, which means you will need to take on some side projects. Talk to friends that run their own business or go to a Chamber of Commerce meeting and find a small business looking for help. Applying for top positions with awesome stories of how you helped grow a local business 300% online by doing specific marketing things (keep up with the details!) will make you stand out from the crowd. Don’t constrict your accomplishments by what you do at work now. Participate in forums, volunteer, get out in the community, and find a mentor. The more you do and participate in, the more you will get insider access to the people doing the hiring. Participating not only gives you answers, but shows off your intelligence and people will notice that. Most top positions are filled by people that are recommended, and you can only get recommended if you get your name and talents out there. Whether you are hiring or looking to advance your career in online marketing (read: SEO), it’s time to change your way of thinking. SEO is important but the role needs to have responsibility and resources to touch so many other areas of the business to have the most impact. Get SEO out of it’s silo and get involved with wider online marketing. Great article Kate. I do believe the SEO is “just” a part of the ALL process. I wrote an article about the SEO´s new role on the Search Marketing field in where basically I said: “SEO is more than SEO”. So, people looking for just “SEO´s” are missing a big part of the cake. No doubt! Exactly Charlie, had that discussion with a client today actually. Have a great week! A thoughtful article, good job. But lets be honest with each other and put an end to this cocoonery. The sole purpose of SEO, which stands for Search Engine Optimization, is to get in front of organic traffic, wherever that organic traffic happens to congregate, be it Google or some other search engine. Now if you would have asked me 5 to 10 years ago how to get in front of this traffic, my answer would have been with relevant content and backlinks, hire a freelancer, write a couple of articles, submit them to a couple ezines, add a couple of links to a few directories. Ask me this question today, my answer would be the same, with relevant content and backlinks, however the methods and tactics have changed because Google has become better at recognizing and catching these tactics and devaluing these links or worse penalizing sites for employing them. Now where as before link building and other functions performed by an SEO happened in a bubble, without the reliance on other departments within the organization, this isn’t the case anymore. SEOs have become reliant on other departments because tactics have changed and it has become much harder to build quality links in a bubble. But the game is very much the same. What other offsite ranking factors are there? And please don’t say social signals. Your argument is based on a false assumption that branding, product development, etc are all ranking signals somehow. Lets be honest with each other, the roles of SEOs have changed not because the ranking factors have changed but because its much harder to rank with old methods and tactics. SEOs have become dependent, therefore they must speak many languages and be well rounded, however thats not to say that the job description has some how changed. Its still a links game and will always be. I actually agree that it is a links game, but my argument is that how to get there has changed, and I think that is what you are getting at. Until a better ranking signal can be identified, links are still it, but getting them is harder each day. The signals now or in the future are going to correlate with branding and promotion however. That is what Google has realized and what many of us have known for some time, only now our hands are forced. I think we agree, just saying different things. SEO in the technical optimization is still important and part of the job, but does not warrant a director level position for most companies. As someone who has recently made exactly this move, with a greater focus on the digital marketing mix, I concur! I love SEO but I could feel the walls closing in with my old job and title (more due to naming conventions and connotations that with the role itself). Once marked ‘SEO’, many will assume you won’t look beyond title tags and link building. After less than 2 weeks in my new broader role, I’m actually find my passion for SEO strategies re-ignited as we work on site-focused marketing wins. Suddenly new ideas that relate directly back to SEO, and beyond, are cropping up all over the place! This reminds me of the saying: “Jack of all trades, master of none”. We at Epiphany (www.epiphanysearch.co.uk) have been taking the multi-faceted marketing approach for several years now; After 2 years of continued investment, we’ve now got a very well established PR department, research department, creative department, development department, content department, etc all of whom are experts in their individual trades and which are all there solely to help with our SEO campaigns. Because SEO now touches all of these different elements of marketing, you need professionals who are at the top of their game in each discipline, who can all work together to achieve increased SEO visibility for your clients. We recruit people who have a particular expertise in one of these areas and are excited to take their trade and apply it in a world where the goal is to increase search engine visibility. However, Kate, you seem to be alluding in this article to the fact that you can’t have an SEO Director because this individual needs to be able to work across all sectors rather than just be concerned with SEO. I fundamentally disagree with this. If you build a team where your people have “some” skills across numberous disciplines, your staff will never be at the top of their game as they can’t possibly be fully versed in SEO, PR, marketing, creative design, etc. They may know a little about each, but will never be experts in them all. The purpose of an SEO Director is to head up a team of dedicated and skilled SEO professionals. While they need to have a marketing brain and understand how different marketing approaches can be implemented online to help achieve client goals, they first and foremost need to have a full understanding of all things SEO. All in the SEO team are there to be experts at knowing what needs to be done (both architecturally and in terms of links) for a client to increase search engine visibility. This should then be put into a brief for all departments to work together to fulfill, with work produced by experts in their own related fields. Expecting someone in SEO to be an industry professional in everything is short sighted and is only ever going to deliver mediocre work for clients. Sure, it’s vital that all teams understand what all other departments do and how each contribution fits together to meet the goal, but (for example) expecting someone in SEO to have relationships with key newspaper editors and knowing how to sell in a news story is just silly. It’s the same as expecting a journalist working in PR to know how to fix paginated canonicalisation issues! If one of our clients needs to talk about a site migration, they will talk to one of our SEO Managers. If a client needs to talk about how to portray their brand to the media, they will talk to one of our PR Officers. If a client needs to talk about brand positioning, they will talk to our Creative Director… etc. I’d much rather know that when I was buying in to an agency’s work, I’d not just be getting one or two individuals who “claim” to be good at all disciplines, but instead I’d be getting an SEO Director, an SEO Manager, an SEO Executive, a team of PR experts, a team of Researchers, a team of Creatives, a team of Designers, a team of Developers, a team of Content Writers, etc all working together to improve my website’s visibility. A year ago I moved from being a specialist SEO manager in an agency, to being an in-house online marketing manager. SEO is still part of my role, however I have realised that there was a massive amount of knowledge and opportunity I was missing out on by siloing myself into pure SEO. Moving to an online marketing role has been the best career decision I have made since taking up SEO over 10 years ago.